Dr. Richard Amerling explains why people should opt out of ObamaCare. David Catron notes that Obamacare's "insurance marketplace" works just as well as everyother Soviet-style system. 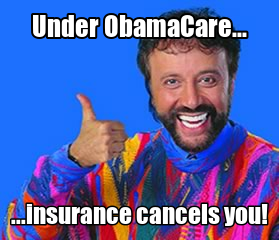 Just remember: "Under ObamaCare, insurance cancels you!"